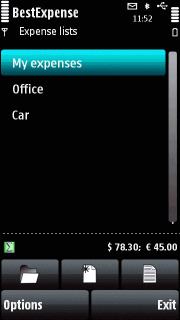 ExpenseLog for S60 E5 - A smart and handy tool to log, track and manage your daily expense on your S60 touch screen mobile. 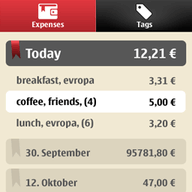 You can records expense anywhere, anytime and get weekly, monthly and yearly spending summary easily. 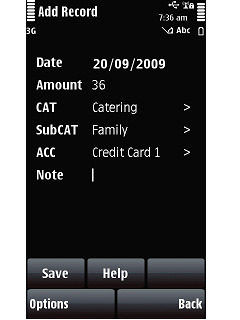 All records can be export into MS CSV file.